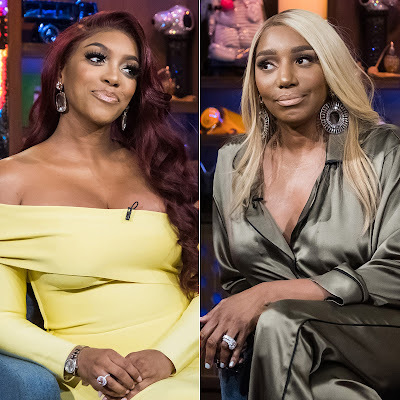 iRealHousewives | The 411 On American + International Real Housewives: Porsha Williams Blasts NeNe Leakes For Allegedly ‘Fat-Shaming’ Her Six Days After Giving Birth; NeNe Responds — Read Their Shady Text Messages Here! 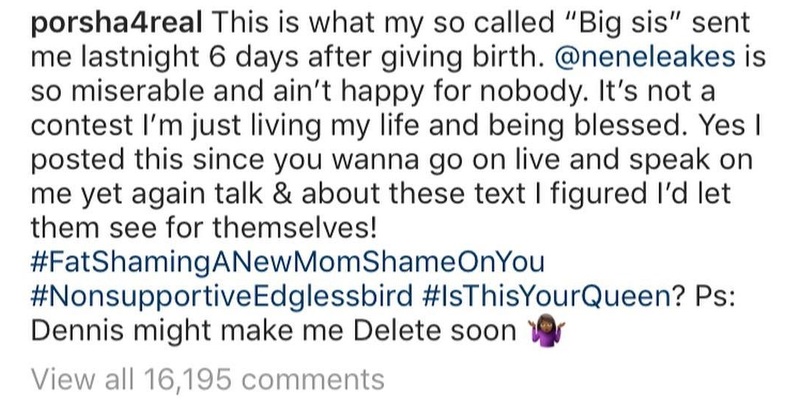 Porsha Williams Blasts NeNe Leakes For Allegedly ‘Fat-Shaming’ Her Six Days After Giving Birth; NeNe Responds — Read Their Shady Text Messages Here! 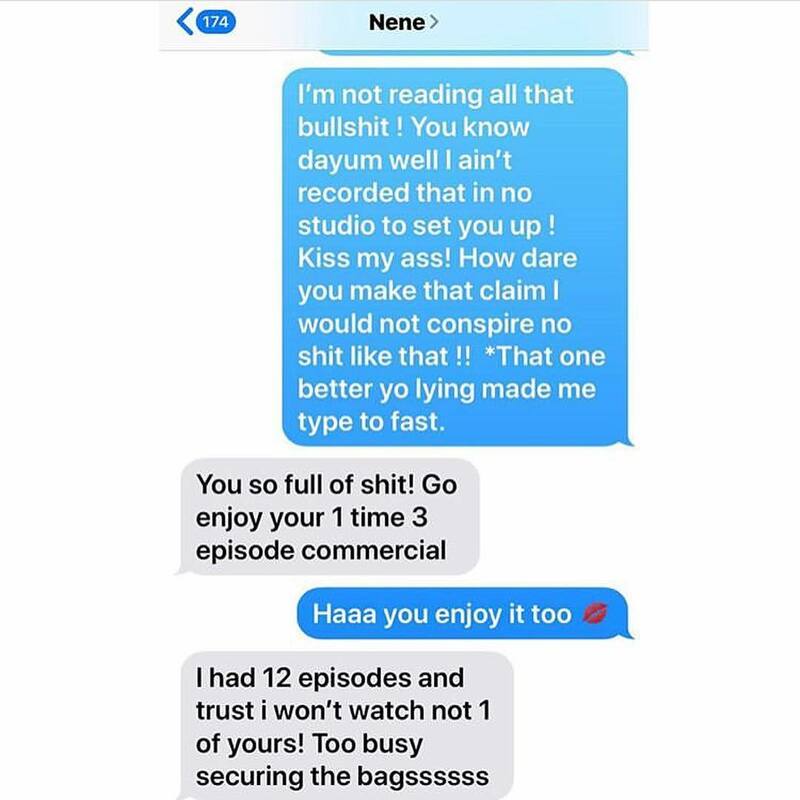 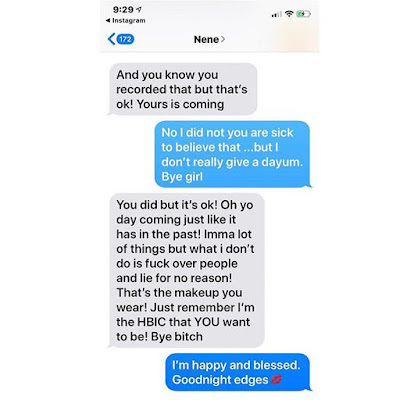 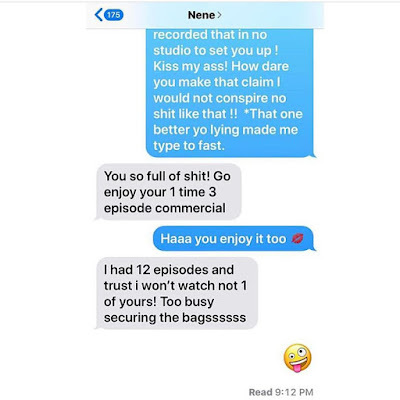 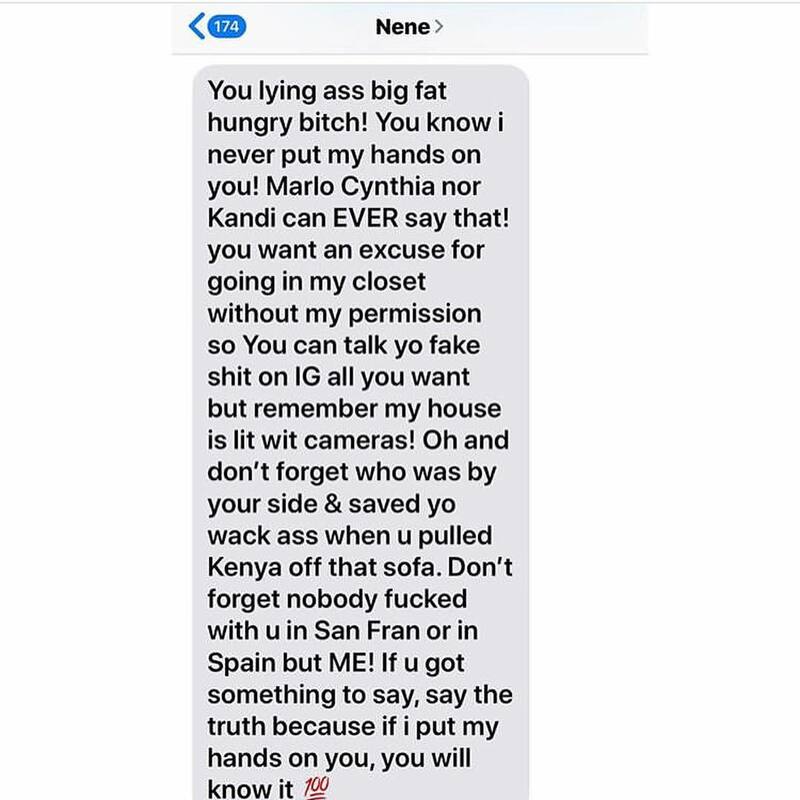 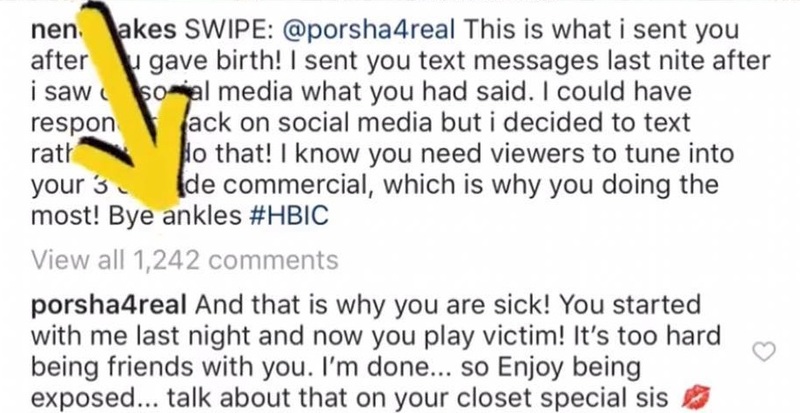 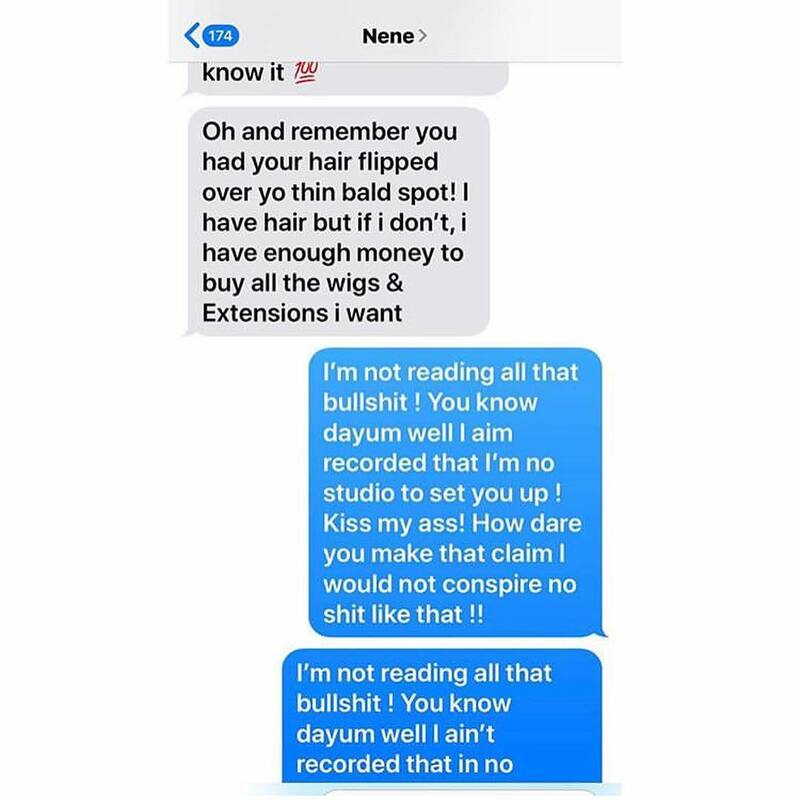 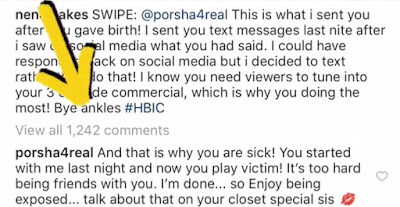 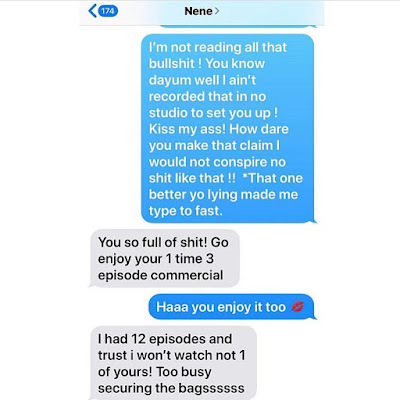 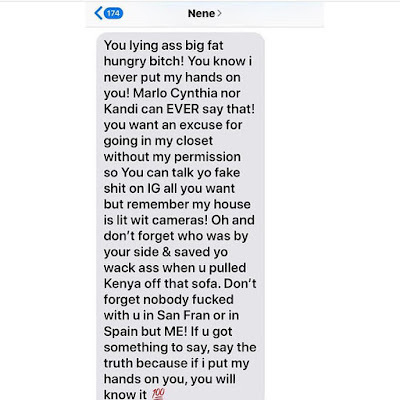 NeNe Leakes and Porsha Williams blasted each other on social media and shares text messages they shared between the two. 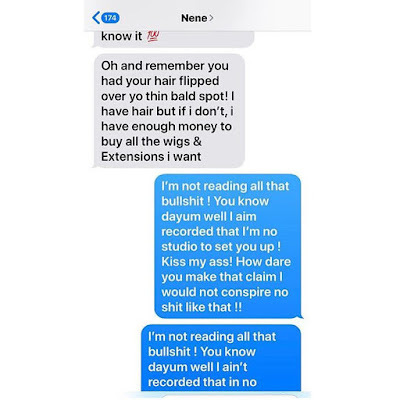 It all went down when Leakes claimed that Williams re-recorded when she said "I'm scared" during Leakes closet freak out, which Williams fired back and denied doing so. 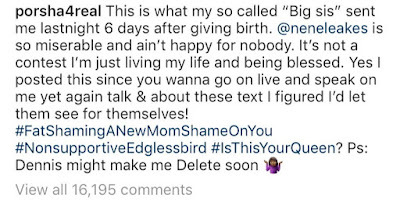 Williams then called out Leakes for commenting on her body just days after the new mom delivered her first child. After Williams shared the text between her and Leakes. 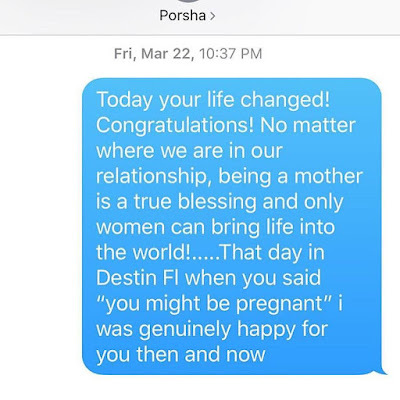 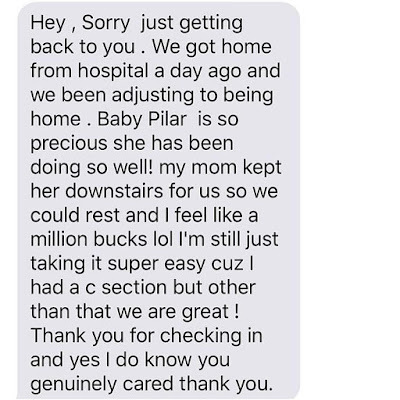 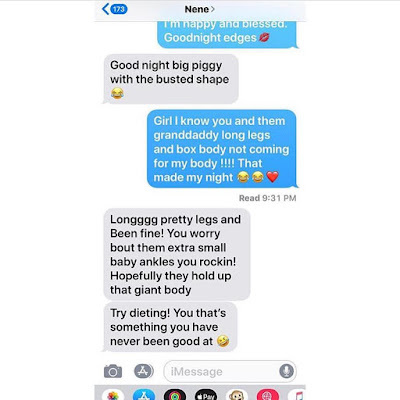 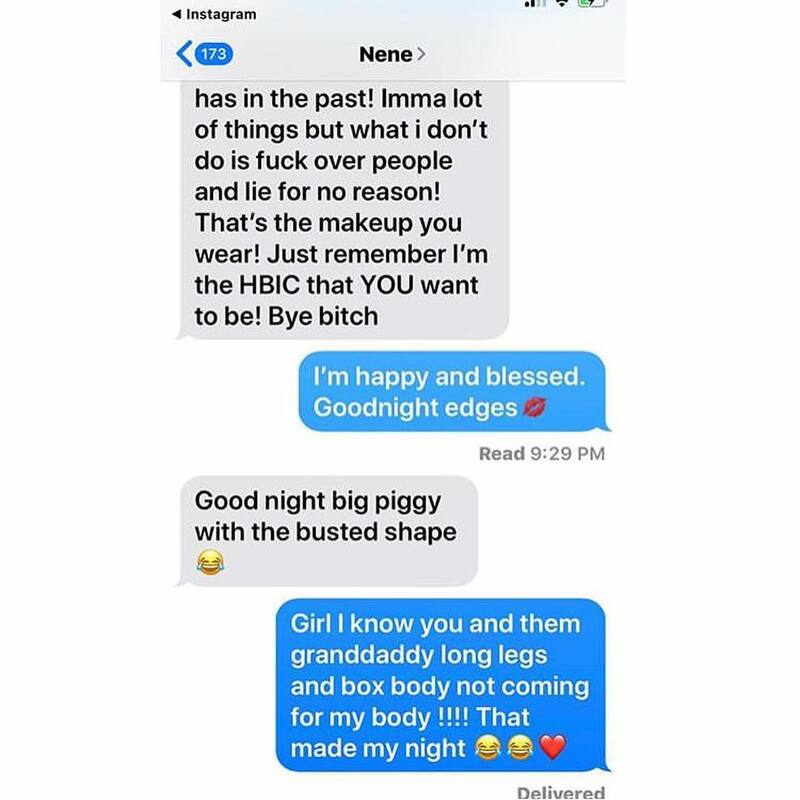 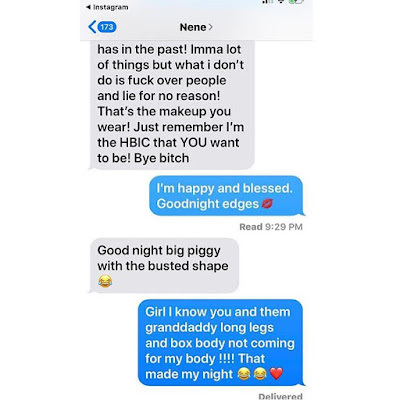 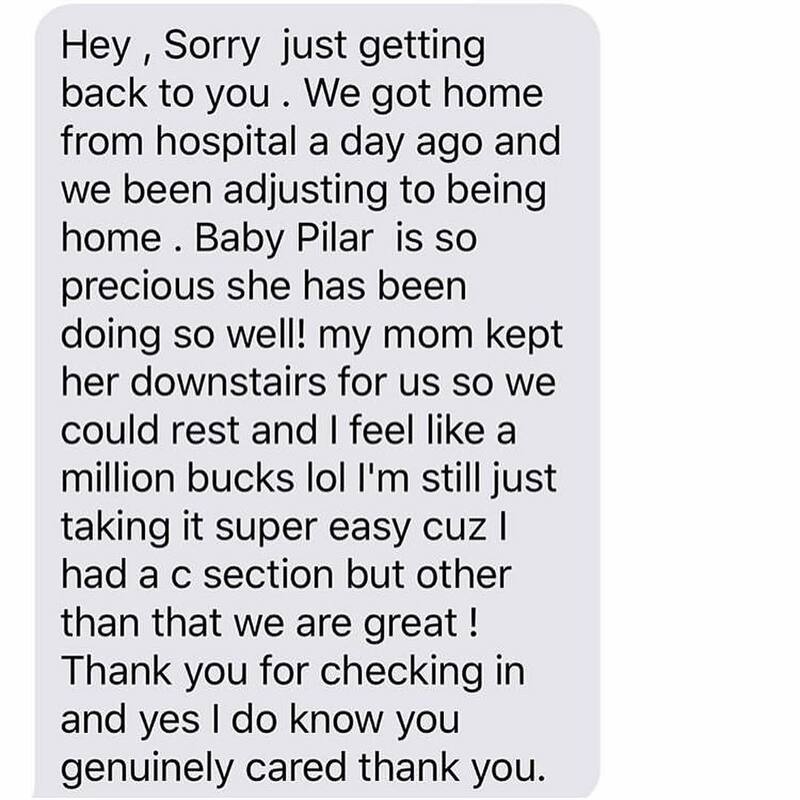 The original Georgia peach responded to Williams’ claims that she fat-shamed her after she gave birth with a few screenshot texts of her own.